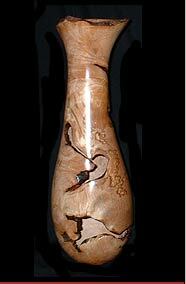 "I want a Peter Kinsella woodturning. But where can I purchase one?" Peter Kinsella's woodturnings are available at several high-class galleries and stores within Maritime Canada and Ontario. Or contact Peter to purchase one of these unique woodturnings.